ARRL Headquarters will be closed for the Thanksgiving holiday on Thursday, November 23, and Friday, November 24. W1AW bulletin and code practice transmissions and editions of The ARRL Letter or ARRL Audio News will not be available on those days. Headquarters will reopen at 8 AM EST on Monday, November 27. We wish everyone a safe and enjoyable Thanksgiving holiday. A defamation lawsuit filed by former ARRL Eastern Pennsylvania Section Manager Joseph Ames, W3JY, of Malvern, Pennsylvania, against ARRL and several of its officers and Board members was dismissed with prejudice by the United States District Court in Philadelphia in December 2016. Ames filed an appeal of that decision, and on November 11, the United States Court of Appeals for the Third Circuit upheld the lower court's dismissal of the suit. 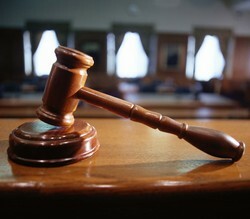 In its opinion, the appellate court wrote, "because the record shows that Ames acted contrary to [an] August 2015 directive on at least two occasions, the [ARRL's] statement that Ames 'repeatedly acted contrary' to the directive is true and cannot support a claim for defamation...it is apparent on the face of the complaint and related documents that the statements in the [ARRL website news] article are true, and the District Court therefore correctly held that the defendants established a complete defense to Ames's defamation claim and appropriately dismissed the complaint." 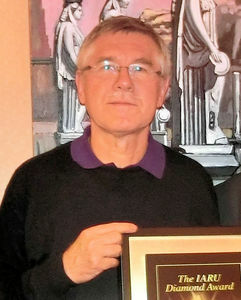 In June 2016, the Executive Committee of the ARRL Board of Directors relieved Ames of his appointments in the ARRL Field Organization, including his position as Chairman of the ARRL National Traffic System[TM] (NTS[TM]) Eastern Area. ARRL Contest Branch Manager Bart Jahnke, W9JJ, has clarified that the new 630- and 2200-meter bands will be fair territory in the ARRL International Grid Chase. The year-long operating event begins on January 1, 2018 at 0000 UTC (New Year's Eve in US time zones). The object is to work stations in as many Maidenhead grid squares as possible, and radio amateurs around the world are encouraged to take part. Contacts made on the 60-meter band will not be eligible for award credit, however. US radio amateurs are advised, however, that the use of 630 and 2200 meters requires advance notification to the Utilities Technology Council (UTC), formerly the Utilities Telecom Council, of their intention to operate on one or both bands. If UTC does not respond within 30 days or specifically denies access, these stations may commence operation there. Amateurs operating in the 135.7-137.8 kHz band (2200 meters) may run up to 1 W EIRP. The FCC has placed a 60-meter (approximately 197 feet) above-ground-level (AGL) height limit on transmitting antennas used on 630 meters and 2200 meters. Any contact you make in 2018 -- with the exception of contacts on 60 meters -- can count toward your International Grid Chase score, and contacts do not have to include an exchange of grid squares. Participants upload their logs to Logbook of The World (LoTW), and, as long as the other operators worked use LoTW, they get credit automatically once they upload their logs. This means that contest contacts will also count, as will contacts with special event stations, or other on-air activities that use LoTW to confirm contacts. One ARRL Section will welcome a new Section Manager (SM) when the New Year begins, while incumbent SMs will continue to head five others. In Western Massachusetts, Raymond Lajoie, KB1LRL, of Lunenburg, will become the new Section Manager in January. 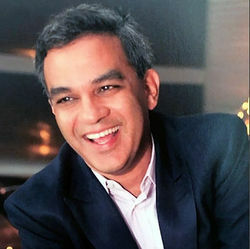 He was the only candidate nominated for the position by the time the September 8 deadline arrived. He will succeed Ed Emco, W1KT, the current SM, who has decided not to run for another term after leading the Western Massachusetts Field Organization since 2006. These incumbent Section Managers were the only valid nominees and have been declared re-elected: JVann Martin, W4JVM (Alabama); Ray Hollenbeck, KL1IL (Alaska); Bill Duveneck, KB3KYH (Delaware); Ron Cowan, KB0DTI (Kansas), and Keith Miller, N9DGK (Tennessee). New 2-year terms of office commence on January 1. No Section Manager elections took place this fall. ARRL will resolicit nominations for Section Manager candidates for those four Sections in the January and February issues of QST for 18-month terms of office beginning in July 2018. Section Manager nomination forms and related information is available on the ARRL website. ARRL Field Organization Team Supervisor Steve Ewald, WV1X, said it's unusual to resolicit nominees for four ARRL Sections at the same time. ARRL Headquarters can appoint a qualified individual to fill a post temporarily, so that the Section is not without leadership in the interim. "NVIS: Near Vertical Incidence Skywave" is the topic of the current (November 9) episode of the "ARRL The Doctor is In" podcast. Listen...and learn! More than a half-million downloads since its debut in April 2016 attest to the podcast's popularity. Enjoy "ARRL The Doctor is In" onApple iTunes, or by using your iPhone or iPad podcast app (just search for "ARRL The Doctor is In"). You can also listen online at Blubrry, or at Stitcher (free registration required, or browse the site as a guest) and through the free Stitcher app for iOS, Kindle, or Android devices. If you've never listened to a podcast before, download our beginner's guide. Just ahead: "Coaxial Cable vs Balanced Lines." ARRL is encouraging its members to give something back on #GivingTuesday, November 28, either by donating to a favorite charity, by volunteering your time -- or both. ARRL is among the IRS 501(c)(3) organizations registered as a nonprofit beneficiary. "Many of the programs and services provided by ARRL to our members and the Amateur Radio community would not be possible without the generosity of hams," said ARRL CEO Tom Gallagher, NY2RF. "Giving Tuesday encourages individuals to take a moment to remember organizations that have meaning in their lives and to give back. I hope all of our members will take a moment to visit the ARRL website and donate online, or write a check. Gifts to any of our funds are much appreciated and help ARRL continue its work on behalf of its members and the entire Amateur Radio Community." Join the movement on November 28 to celebrate #GivingTuesday by giving your time, skills, voice, dollars, and goods to charity and help others. Many of ARRL's programs and services are not covered by membership fees alone. Your contributions to the Education & Technology Fund, the Spectrum Defense Fund, the Legislative Issues Advocacy Fund have a tremendous impact on ARRL's ability to promote Amateur Radio and better serve its members. Take this opportunity to support ARRL's efforts on behalf of Amateur Radio. The phone portion of the ARRL November Sweepstakes is this weekend, November 18-20 (UTC), on all bands 160, 75, 40, 20, 15, and 10 meters. The exchange is serial number + Precedence (Q/A/B/U/M/S) + Your Call Sign + Check (usually year first licensed) + ARRL/RAC Section. It's that simple, and it's lots of fun! 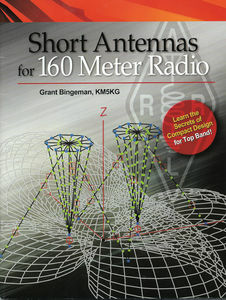 (See "Aiming for a Clean Sweep is Big Part of ARRL November Sweepstakes" for more details and information. SS phone logs are due by November 25. The beginning of December will herald the return of the ARRL 160 Meter Contest. The action gets under way at 2200 UTC on Friday, December 1, and wraps up at 1559 UTC on Sunday, December 3. This 42-hour event has no operating time limit. If you have ever yearned to try your hand at Top Band contesting, this is the perfect opportunity. The ARRL 160 Meter Contest is an all-CW event, with ARRL/RAC Sections plus DXCC entities as multipliers. If you live in a rare Section, you will be popular, even if don't have a killer signal on Top Band. Some intrepid operators even venture forth each year running just 5 W! Any participant can work Alaska (KL7) and Hawaii (KH6), as well as the US Caribbean (KP1-KP5) and Pacific territories (KH0-KH9).Contacts with US/Canada stations are worth 2 points, while DX contacts are worth 5 points. Keep 1.830 to 1.835 MHz available for intercontinental contacts. You may even be able to put out enough signal to make a few contacts simply by loading up your existing 40- or 80-meter dipole. Improvise! The twice-delayed launch of the United Launch Alliance (ULA) Delta II rocket that will transport the RadFxSat (Fox-1B) CubeSat carrying an AMSAT Amateur Radio payload and other payloads into orbit now is set for Saturday, November 18, at 0947 UTC. 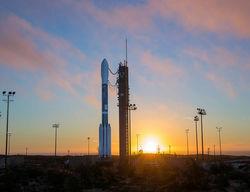 The Joint Polar Satellite System-1 (JPSS-1) mission launch from Vandenberg Air Force Base, California, had to be postponed on November 14, "due to a range safety hold and high upper-level winds," ULA said in a tweet. The launch was put off on November 6 due to a faulty battery on the booster. AMSAT will blog on the launch in real time on launch day, and NASA-TV will cover the event. 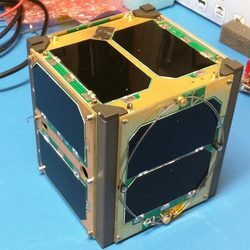 RadFxSat is one of four CubeSats making up this NASA Educational Launch of Nanosatellites (ELaNa) XIV mission, riding as secondary payloads aboard the JPSS-1 mission. RadFxSat is a partnership with Vanderbilt University's Institute for Space and Defense Electronics (ISDE) and hosts four payloads for the study of radiation effects on commercial off-the-shelf components. It will carry a Fox-1 style FM U/V repeater with an uplink on 435.250 MHz (67.0 Hz CTCSS) and a downlink on 145.960 MHz. Satellite and experiment telemetry will be downlinked via the DUV subaudible telemetry stream, which can be decoded using FoxTelem software. AMSAT will have more information on the launch and the satellite's early operations, and it will post the first telemetry reception. More launch updates are available from ULA via Facebook, Twitter, or Instagram, hashtags #DeltaII and #JPSS1. Meanwhile, progress continues on getting future Fox payloads into space. On November 6, AMSAT Vice-President Engineering Jerry Buxton, N0JY, delivered Fox-1D to Spaceflight, Inc in Seattle, where it was integrated into its Innovative Solutions in Space QuadPack for delivery to India. Fox-1D will launch on the next ISRO Polar Satellite Launch Vehicle (PSLV) flight, scheduled to take place by the end of December. 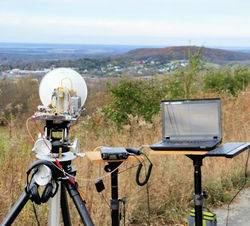 In addition to the Fox-1 U/V FM transponder, Fox-1D will carry several university experiments, including a MEMS gyro from Pennsylvania State University-Erie, a camera from Virginia Tech, and the University of Iowa's High Energy Radiation CubeSat Instrument (HERCI) radiation mapping experiment. 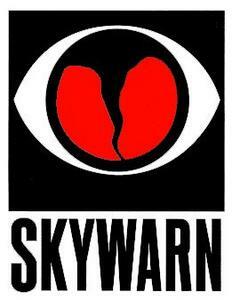 A heads up: SKYWARNâ¢ Recognition Day (SRD) will take place this year on Saturday, December 2 from 0000 until 2400 UTC (starts on the evening of Friday, December 1, in US time zones). During the SKYWARN special event, ham radio operators will set up stations at National Weather Service (NWS) offices and contact other radio amateurs around the world. Participating Amateur Radio stations will exchange a brief description of their current weather with as many NWS-based stations as possible on 80, 40, 20, 15, 10, 6, and 2 meters plus 70 centimeters. Contacts via repeaters are permitted. SRD was developed jointly in 1999 by the NWS and ARRL to celebrate the contributions SKYWARN volunteers make to the NWS mission -- the protection of life and property. Amateur Radio operators, which comprise a large percentage of SKYWARN volunteers, also provide vital communication between the NWS and emergency managers, if normal communications become inoperative. Microwave enthusiast Mike Seguin, N1JEZ, has reported several successful 78 GHz contacts between the US and Canada on November 9. "We believe these contacts may be the first W/VE on 78 GHz," Seguin said in a post to several VHF/UHF/microwave-oriented reflectors. "We hope to extend distances before winter sets in here in the northeast and mountaintop access is limited." On the Canadian side were Rene Barbeau, VE2UG, and Ray Perrin, VE3FN. On the US side were Henry Ingwersen, KT1J, and Seguin. The first contacts were between FN35ja and FN34jx -- a distance of 5 kilometers (3.1 miles), "primarily to test systems," Seguin said. "Contacts were easily made in SSB with huge signals on both ends," he reported. Next, N1JEZ and KT1J moved to FN34lt -- extending the distance to 27 kilometers (16.7 miles), and again easily made contact with the Canadian crew. Netherlands telecommunications regulator Agentschap Telecom reports that radio amateurs who fail to use their call signs correctly have been fined or issued formal warnings -- called "yellow cards" in the Netherlands. The regulator announced on November 9 that it had imposed an administrative fine on a radio amateur who did not use his call sign or did not identify at required intervals. Despite warnings, the behavior did not change, the regulator said, resulting in a fine. The agency also distributed several yellow cards for failure to identify and for "improper use" of Amateur Radio call signs when making contacts on frequencies not authorized to the operator. Agentschap Telecom also advised that, while amateurs in The Netherlands have been doing a good job resolving problems among themselves, the agency wanted to emphasize several points. Among these: the 6-MHz band (specifically 6635 kHz) is not an amateur band; hams may not transmit music; hams may not communicate using amateur equipment on frequencies allocated for unlicensed use, and Amateur Service licensees may only contact other Amateur Service licensees. The regulator further asserted that transmitting broadband television on the 70-centimeter band "is not a good choice," because of the likelihood of interference with 433-MHz unlicensed applications, such as garage door openers, remote controls, wireless weather stations, and other devices. The regulator has said that other users of the spectrum also "have rights," and that having primary status does not mean that other users have to accept all interference. Iceland's Ministry of Transport and Local Government has invited comments on draft changes to the Radio Regulations in that country. IARU member society Icelandic Radio Amateurs (IRA) had proposed ending the practice of issuing distinctive "N" call signs for Novice-class radio amateurs. The IRA also has proposed ending the requirement that Amateur Radio call signs reflect the geographic call district of the station, something still in place in Canada and other countries. The Post and Telecom Administration's draft regulations incorporate the IRA's requests and also update the table of frequency allocations to include the 630- and 60-meter bands. 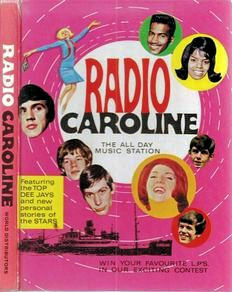 Medium-wave broadcast listeners (BCLers) recently reported a signal with continuous music and announcements on 648 kHz -- the frequency of the former pirate broadcaster and soon-to-be reconstituted Radio Caroline. BCLers from the UK, The Netherlands, Belgium, France, and Austria reported hearing the signal. Some reports, according to Mike Terry of The SWLing Post, referred to a co-channel Romanian or Slovenian station. Terry said he believed the testing was done at a lower power level than the permitted 1 kW. "Our initial engineering tests on 648 have now finished," Radio Caroline announced on its website. Full tests and programmes will commence in due course and will be announced here. We are grateful for the many reception reports sent. So many were received that it will take some time to assess them all." The latter-day incarnation of the famous shipboard pirate radio station that beamed rock music to the UK in the 1960s and 1970s, has gone legal and obtained a license to operate permanently on 648 kHz at 1 kW ERP. That channel falls between the 10 kHz-spaced AM Standard Broadcast Band frequencies in the US. "It's taken Radio Caroline 53 years to get an AM license, and it was perceived as a threat to the BBC for many years," Radio Caroline said on its website. "Ironically 648 kHz was best known for transmitting the BBC World Service in English." BBC dropped that service in 2011. The volunteer count was incorrect in the article "Amateur Radio Volunteers Continue New York City Marathon Tradition," in the November 9 edition of The ARRL Letter. There were more than 250 volunteers. The news brief "Mother, Daughter Radio Amateurs Active from Nepal," in the same edition misspelled the nickname of Tejaswita (Teju) Kharel, 9N1DX. Tad Cook, K7RA, Seattle, reports: Thirteen days of zero sunspots ended on Tuesday and Wednesday with sunspot numbers of 14 on both days. The average daily sunspot number rose from 0 to 4 this reporting week, while the average daily solar flux dipped slightly, from 70.8 to 70.3. The average planetary A index decreased from 15.6 to 12.3, and average mid-latitude A index declined from 12.4 to 8.6. 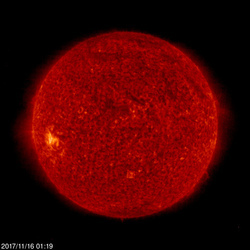 Predicted solar flux is 75 on November 16-27; then 73, 72, and 71 on November 28-30; 70 on December 1-2; 69 on December 3-4; 68 on December 5-7; 69 on December 8-9; 70 on December 10; 73 on December 11-16; 75 on December 17-24; 73, 72, and 71 on December 25-27; 70 on December 28-29, and 69 on December 30. Predicted planetary A index is 12, 14, 10, and 8 on November 16-19; 20 on November 20-21; 18 and 10 on November 22-23; 5 on November 24-28; 8 and 10 on November 29-30; 5 on December 1-3; 35, 40, 28, 20, and 10 on December 4-8; 5 on December 9-10; 15, 18, 12, 15, 12, and 8 on December 11-16; 20 on December 17-19; 8 on December 20; 5 on December 21-25; 8 and 10 on December 26-27, and 5 on December 28-30. Sunspot numbers for November 9-15 were 0, 0, 0, 0, 0, 14, and 14, with a mean of 4. The 10.7-centimeter flux was 65.8, 68.6, 67.3, 69.4, 72.1, 74.4, and 74.2, with a mean of 70.3. Estimated planetary A indices were 20, 21, 8, 6, 6, 11, and 14, with a mean of 12.3. 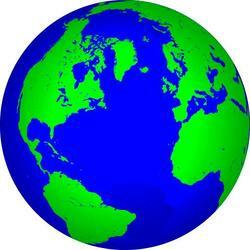 Estimated mid-latitude A indices were 11, 13, 7, 4, 6, 8, and 11, with a mean of 8.6.